United Kingdom has become an important destination lately for many immigrants and students moving to UK. As an Immigration Consultant Bilimoria & Associate offers the clients full range of visa services that suits the requirement towards obtaining respective visas while applying for a visa to United Kingdom. 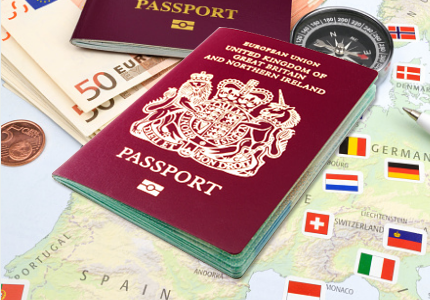 UK Immigration has introduced a number of new UK immigration categories in the last few years. The Highly Skilled Migrant Programme (HSMP) to find an eligibility to process works on points based. Provisional figures show that in 2009, 567,000 people arrived to live in the UK whilst 371,000 left, meaning that net inward migration was 196,000. The number of people immigrating to and emigrating from the UK both fell between 2008 and 2009. The largest groups of people granted British citizenship were from India, Pakistan, Somalia and the Philippines. In 2006, 134,430 people were granted settlement in the UK, a drop of 25 per cent on 2005. With the introduction of the points based system, immigration to UK has been managed better, thanks to a new system to cope with the demand for skilled labour shortages. Immigrants who can demonstrate they possess certain skills that cannot be found in certain areas are understandably much sought after in UK. Skilled workers from outside the EU whose jobs are on the Critical Skills Shortlist are especially attractive to the UK and will find their application for a UK visa will be looked upon more favourably towards obtaining their visa and we at Bilimoria & Associate assist clients for their UK visa.